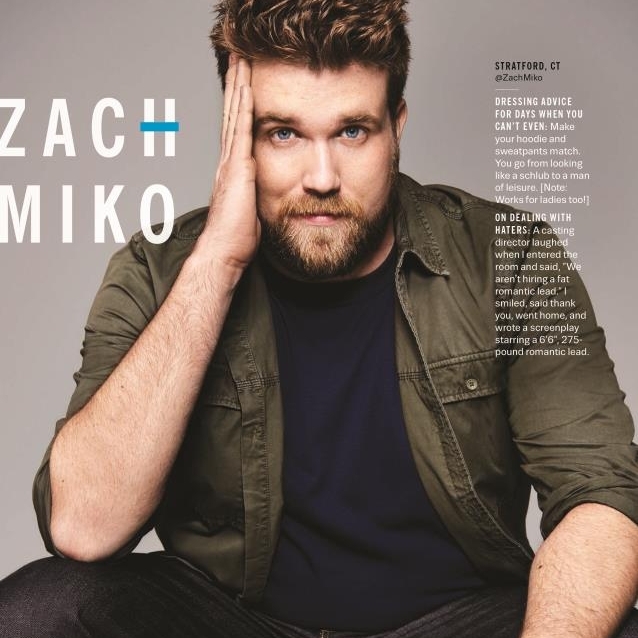 In today's negative world, "Big Things with Zach Miko" host Zach Miko talks to positive, diverse, and inclusive guests who are not only doing "Big Things" in their careers, but in their industry, community, and the world, making them all a better place. Zach is the first Brawn model for IMG Models. He has shot for Levi's, Dockers, Target, Macy's, Kohls, Old Navy, DXL, Kingsize, Uniqlo, Izod, Bad Rhino UK, SM Men, Jack and Jones, The New York Times, The NY Post, Esquire, Cosmopolitan, and many more. His body positive message of self love and acceptance had lead him to do everything he can to push the boundaries of fashion and entertainment. Josh Evans is Zach's cousin and college roommate. After finishing his degree in History from Albertus Magnus College, Josh went on to study production and engineering at The Connecticut School of Broadcasting. Currently living in Georgia, Josh is Editor and Co-Producer of Big Things. Josh gives the best hugs. Cousins and best friends for years, Zach and Josh have always been big guys. One day while sitting in the stands at an Atlanta Hawks game they started brainstorming. What they came up with was a podcast bent on positivity and inspiration with guests who make this world a better place.